The electoral council of the Democratic Front for Peace and Equality (Hadash) will select the front’s first six candidates to run for the 21st Knesset this coming Friday, February 1, in a national convention to be held in Shefa-‘Amr (Shfar’am) in northern Israel. The 940 delegates to the Hadash Council, themselves elected in recent weeks in the front’s branches throughout the country, will vote for six candidates from among those members of Hadash who have submitted their names as candidates for the upcoming general elections scheduled to take place on Tuesday, April 9. In the previous general elections for the 20th Knesset that were held in March of 2015, Hadash ran as part of the Joint List which won a total of 13 seats in the 120-seat Knesset, five of whom were nominated by Hadash. For the upcoming elections, the leader of Hadash, MK Ayman Odeh will seek to continue his leadership of the Joint List. Among the additional candidates running for inclusion in Hadash’s list for the 21st Knesset this Friday are two other current MKs, Aida Touma-Suleiman and Yousef Jabareen. Also standing for election in this week’s convention are Jafar Farah, Efraim Davidi, Noa Levy, Yaela Raanan, Ofer Cassif and Raja Zaatry. MK Dov Khenin will not seek re-election. 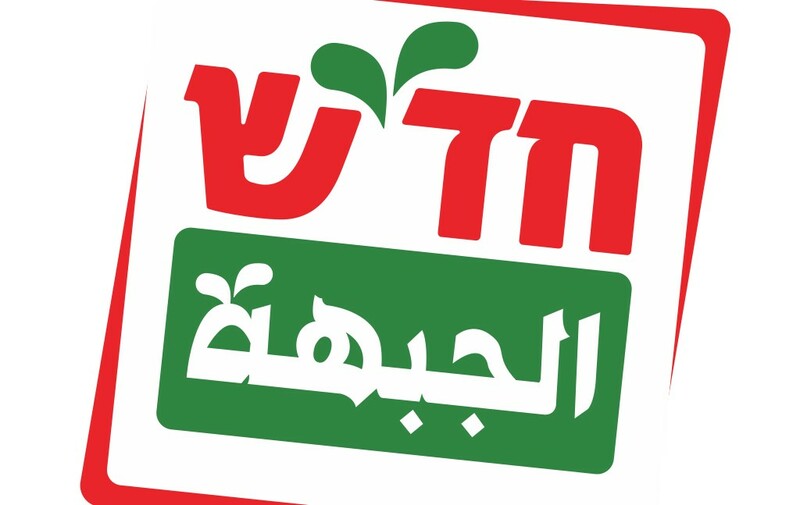 Hadash’s electoral platform calls for: an end to Israel’s occupation of all Palestinian territories conquered in the June 1967 war as well as the Golan Heights taken from Syria, and for achieving a just, comprehensive, and stable peace between Israel and an independent Palestinian state to be created in those same occupied Palestinian territories; the protection of workers’ rights; the development of advanced and egalitarian social services (health, education, housing, welfare, culture, and sports), and for full equality for the Arab-Palestinian national minority in Israel. Among Hadash’s additional goals are: the eradication of ethnic discrimination in all fields; the defense of the interests of residents of disadvantaged neighborhoods and development towns; the protection of democratic freedoms in Israeli society; full equality between the sexes in all fields; the protection of the environment and environmental justice; and the eradication of all nuclear, chemical, and biological weapons in Israel and throughout the Middle East.